This slide set was chosen to show some of the best examples of volcanic landforms on Mars, visible in images returned by the two Viking Orbiter spacecraft. The set of 20 slides cannot provide an exhaustive treatment of volcanism on Mars, but it should serve as an overview to the subject. 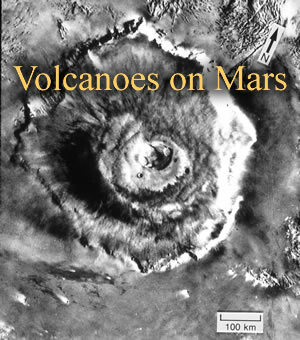 For a more detailed description of the various interpretations proposed for individual volcanoes on Mars, please refer to the list of references provided at the end.